The Wave Series by Kalita brings a classic brewing dynamic to the hand-drip pourover action that's taken the world by storm. The Kalita Wave dripper features a flat-bottomed brew bed for even extraction, and a filter design that reduces contact between the brewing space and the dripper itself. Used by top specialty coffeebars around the world and in professional coffee-making competitions, the Wave Series allows you to brew your favorite coffee more evenly, which directly contributes to fuller flavor and a more balanced extraction. 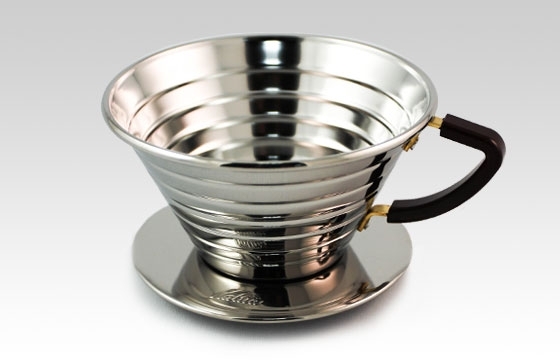 Kalita #155 is ideal for one-cup brewing. Yielding approximately 12-16oz of brewed coffee. Kalita #185 is ideal for brewing 12-24oz. Don't forget the filters! Wave filters aren't available in stores; be sure to order them here.